Ho-hum, another Boston-area technology IPO. This time it’s Demandware (NYSE: DWRE), the Burlington, MA-based digital retail and commerce firm. I am being ironic, because, like TripAdvisor (NASDAQ: TRIP) and Brightcove (NASDAQ: BCOV) before it, Demandware’s going public has not gotten as much in-depth attention from the press and innovation community as it probably should have. This is one of those companies that has kept its head down and quietly focused on building its business for a long time. Sure, we know that the company priced its shares yesterday at $16, well above its expected range, and its stock price in initial trading today was up above $24 as of 10:30 am ET. Its valuation was around $450 million at its IPO price. Let me say that again: $450 million, and climbing. 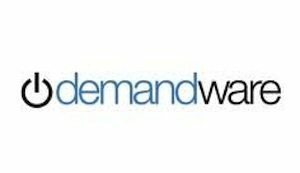 Demandware (note lack of camel case in its name) started in 2004 and is led by founder and chairman Stephan Schambach and CEO Thomas Ebling. The company was venture-backed by North Bridge Venture Partners and General Catalyst Partners. What Demandware does is provide a software platform and services to help brands and retailers create digital shopping sites and interfaces across the Web and mobile devices. Its customers include Columbia Sportswear, Crocs, Fila, Kate Spade, L’Oréal, Marks & Spencer, and Nine West. We’ll be keeping a closer eye on this one, and the other recent Boston-area IPO companies, to see what their impact is on the local community and beyond. Way to go, Jeff Barnett and team!